If you didn’t see my post from last Saturday, I am posting things that make me laugh or smile every Friday. It is my way of separating myself from my work and transitioning into the weekend. Right now it’s not much of a transition since I’m finished with school and don’t start work until May 19th, but I want to get into the habit of doing it. I also hope that it will make someone else smile, especially if it’s been a rough week. 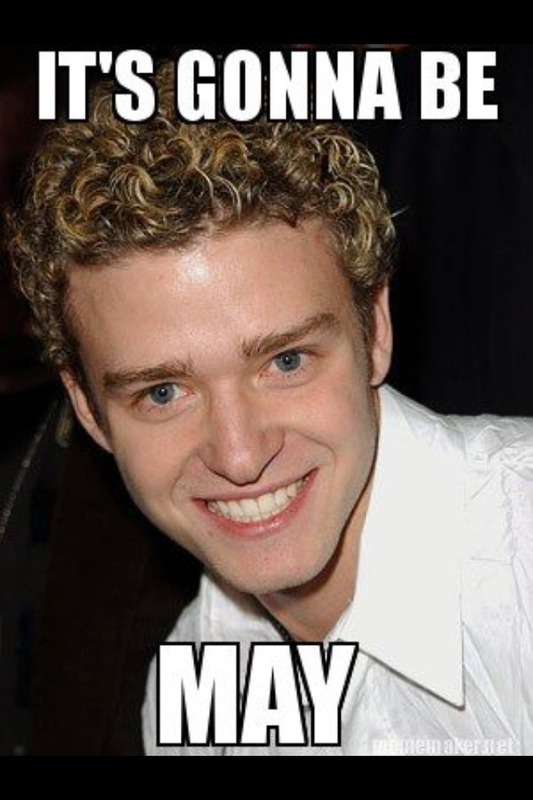 I keep seeing this lovely picture of JT floating around on Facebook, and it cracked me up. If your wondering what the heck this is referring to, it’s from this NSYNC song. I shared this with my friends on Facebook already, but I found a really neat story/cookbook when I was browsing reddit. Leanne Brown, a grad student at NYU, created a cookbook called Good and Cheap. It is “a collection of recipes for folks with limited income, particularly those on SNAP benefits (formerly the Food Stamp program).” It’s free, and it’s made for those trying to live on $4/day. Delicious food AND social justice?!? I’m in love. For all of the Harry Potter/Star Wars/Lord of the Rings people out there, you may enjoy this video. The power of magic is pitted against the force. What’s not to love? The end is the best part, so make sure to watch it all the way through. 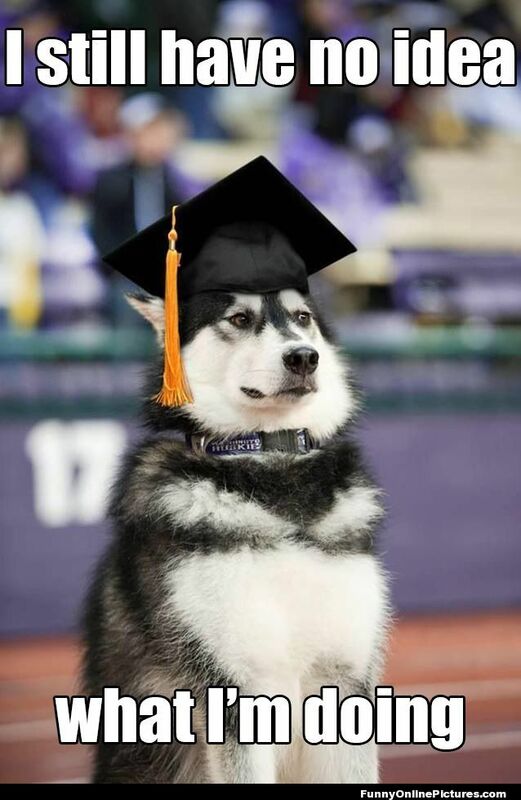 Finally, I can’t remember where I saw this, but it makes me laugh and sums up how I feel right now as a graduate starting my first job. I know it’s not entirely true, but it’s how I feel sometimes. Haha that makes me feel better. I’m sure you know what you’re doing though! I think it’s just a common, natural feeling.